It's important to make monthly payments on your credit card, but how much should you pay? Read on to learn how much to put towards your credit card payment. The average household has over $16,000 in credit card debt. Recent studies show that no matter how strong or weak the current economy is, that credit card debt is just a way of life for most Americans. 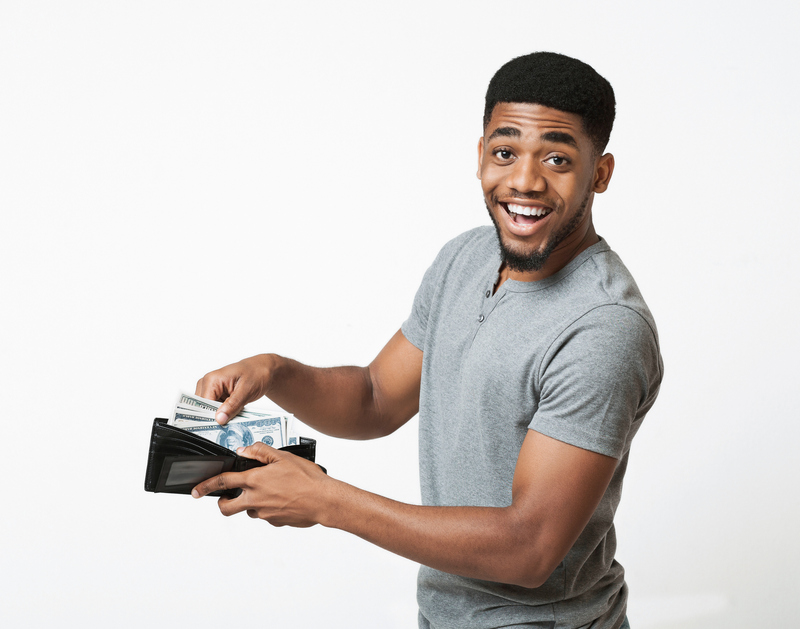 We know that you likely want to pay off as much as of your credit card debt as you can and that it can be hard to figure out how much of your paycheck and savings you should be using to pay off your card. Credit card debt can make it hard to get a loan, or even just make important purchases. That's why we created this no-nonsense guide to figuring out the ideal amount of your monthly credit card payment. The reality is that every month, you should try to do everything possible to make sure you pay your full balance. Because you can avoid making hefty interest payments if you pay your debt back within the grace period. Plus, it just makes it easier to sleep at night. It also ensures that your credit score stays strong by keeping your credit utilization low. Your credit utilization examines the difference between the current balance on your card and your overall credit limit. A lower credit utilization means a stronger credit score. A good credit score is crucial if, for example, you plan to take out a personal loan in the future. Above all, you won't hit your credit limit, meaning that you can make purchases when you need to without worrying. As much as we'd all love to be able to pay off our full balance every month, sometimes it's just not a possibility. Though your default option may be to simply pay the minimum balance on your credit card, think hard about what you can actually afford to pay. Take a hard look at your monthly income in relation to your expenses. Is there anything you can cut down on that can free up more cash to go towards your payment? If you need help, use a free debt calculator to find the best payment plan for you. Always remember that the higher the payment you can make, the less debt you'll have, and the less interest you'll have to pay. In this day and age, it is not uncommon for people to be paying down multiple credit cards at once. If this is the case for you, focus on paying down one card at a time. Pay the maximum amount possible on one card, and then make minimum payments on the other cards. Instead of living with multiple debts, you'll slowly and steadily eradicate your debt card by card. Ready To Make Your New Credit Card Payment? Thanks to the tips in this article, you won't have to worry about paying off your debt too slowly or dedicating way more of your paycheck to your credit card payment than you can afford. Looking for more financial advice about debts, types or loans, and more? Check out our website to get more tips on how to get your finances in better shape this year.